You would think that with the ever-increasing amount of information around us we would all want short, pithy nuggets rather than extensive amounts of content. However, the more material that is published online, the more people want. That’s partly due to our desire to minimise risks. When we have wide availability of information on any topic we want to check more of it to ensure that everything we have learned is true, thereby minimising the chances of making a wrong decision. When information is in short supply, we go with what we know. The mere fact that the web is growing at an amazing rate means our brains simply kick in with our risk reduction mode and make us want to check out even more information. And boy oh boy, is the Internet growing…! Data from the company that produces WordPress, Automattic, shows that the number of blogs created in 2014 was up by 12.5% on the previous record year. Each day around 50,000 new blogs are created leading to over 1.5m blog posts being published every day – about 17 every single second. Even more significant is that these are only the figures that relate to WordPress.com – the hosted version of the blogging software. The data does not take into account the billions of blog posts produced by software downloaded from WordPress.org or from other content management systems, such as Blogger or Tumblr. The chances are that by the end of this week, more blog posts will have been written than the entire outpouring of writing during the whole of the 19th Century. The vast amount of content online cannot be underestimated. This explosion in content is making us more interested in content. Never before have we read so much, or written so much. Content is now becoming central to our daily activity. And that means it should become central to your online activity. If your website is not based around content, with new content being added regularly, you are not providing what web visitors want. Major firms, such as the global PR company FleishmanHillard, are restructuring to focus their businesses around online content. And marketing experts believe that businesses will increasingly have “content departments” much like they have other functional teams. In other words, businesses are becoming more and more organised around content, with the production of content for the web being the centrepiece of their business. The question is – are you doing the same? Is your business gearing up to focus its operations around the production of online content? If you are not doing that by now, you are already behind the times. After all, in the couple of minutes you have taken to read this far, around 2,500 blog posts have been added to WordPress alone. 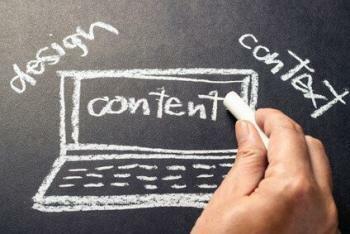 The web is content focused; if your business is not, you are not really providing what your web visitors want. Forget video or blogging if you want to reach… C-suite business leaders are mainly interested in long-form written content and books. Videos and blog posts are of little interest.